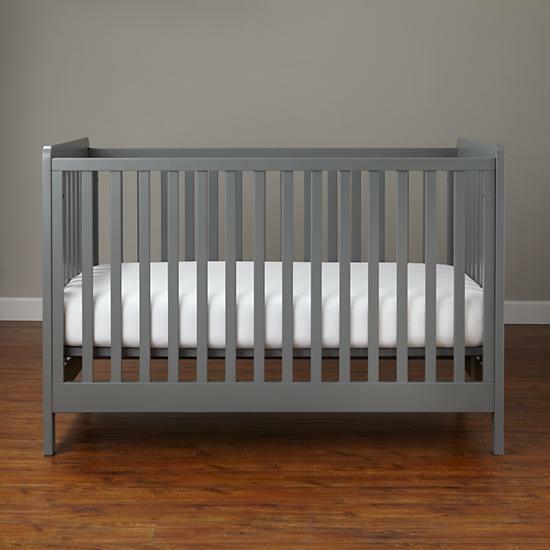 Is it just me or does picking out a baby crib feel like a big deal? Maybe it’s a first timers anxiety. Who knows. Not only do I want the crib to be safe for our baby, but I want it to be aesthetically appealing as well. My wife kicked off the hunt by sending me a photo of the crib and dresser set seen below. It’s a nice looking crib, but at first glance it felt very bulky. It converts from a crib, to a toddler bed to a single bed. The single bed conversion is what seems to bother me the most. It ends up having a large headboard as well as a large footboard. I’m a bit more of a minimalist so I started hunting for other options. After a quick search I found the Carousel Crib from Land of Nod. It’s gotten great reviews and has a cool look to it. I’m a fan of the clean lines and the Kelly Green color is fun. The only thing I question around the color is if we will get tired of it or not. Thankfully, it also comes in grey as seen below. The good thing about the grey is that it’s very universal and we could easily add pops of color to the room. 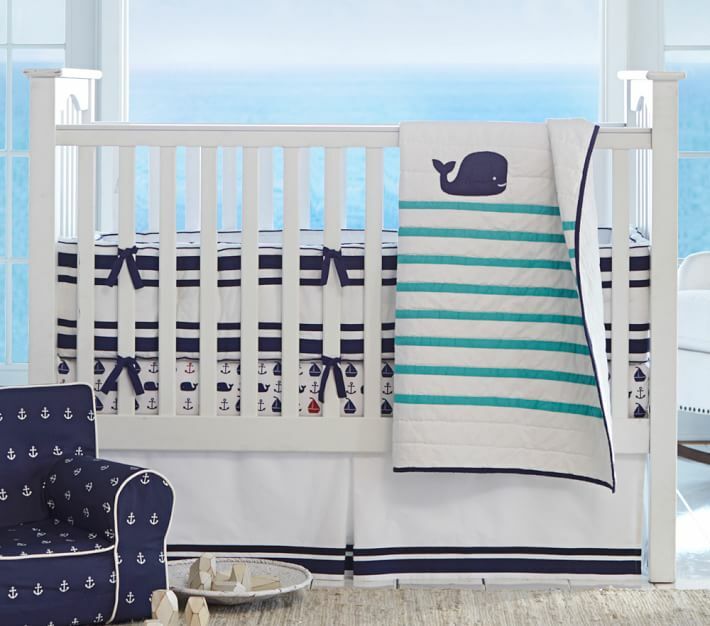 Another option could be the Kendall Crib from Pottery Barn Kids. It’s similar to the second option, but has more traditional lines. It also comes in a handful of different colors. Of the three I tend to lean towards the Land of Nod option. Although, if these remain our only options we end up going with the Pottery Barn Kids option because we’ve been able to see it in person and the quality seems to be on point. Let the crib hunt continue!